This Young Living Essential Oils Reference Guide is the best reference guide in the Young Living essential oil space. It has all of the best information vetted from top sources, real oil users, doctors, physicians, and medical professionals! - Extensive usage guide with hundreds of common conditions and their recommended oils each with their own detailed instructions on how to apply. - Convenient smart search that allows you to search any issue or oil by name. 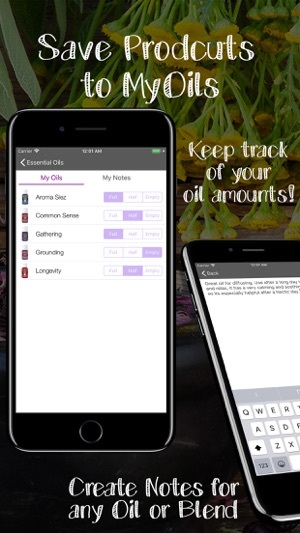 - All the latest oils offered by Young Living, we update our app constantly so you always have fresh information. 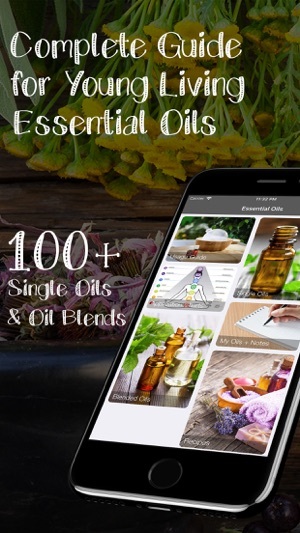 - Young Living Essential Oils Reference Guide also contains application instructions, including information about auricular internal body points, vita flex feet and hand charts, digestive tract, autonomic nervous system, and the nose and olfactory system. 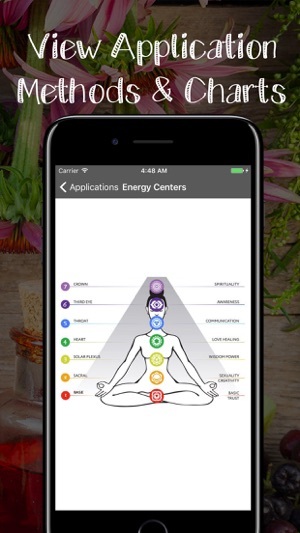 - If you're not using Young Living products, this app is also for you! 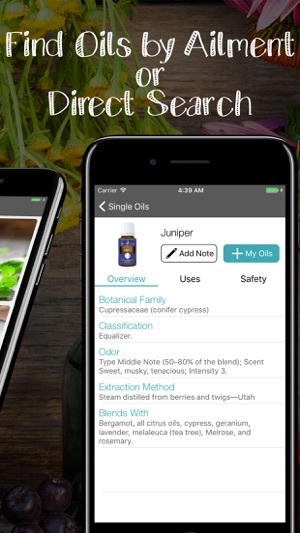 A lot of the information in this app is applicable to other brands of Essential Oils as well! - Complete catalog of Young Living single oils! - Complete catalog of Young Living blended oils! 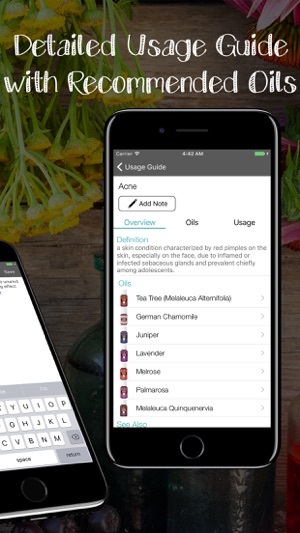 This App is the go-to reference guide for personal and professional essential oil use. 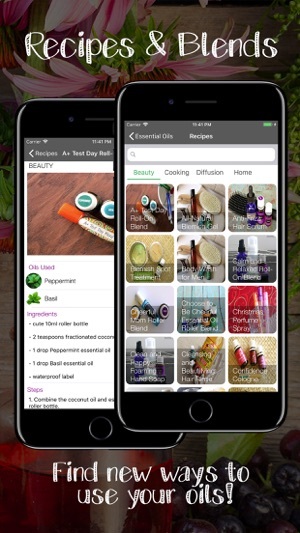 If you love essential oils than you will love this app! If you’re enjoying our app we would love to hear from you in the review section! Please note: This app contains general information but is not medical advice and should not be treated as such. Please consult with your doctor before starting any medical treatments. 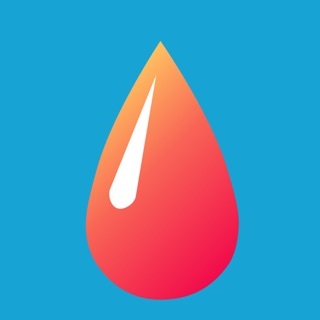 I downloaded this app to supplement a couple other apps and the Desk Reference I have. The pictures are very nice. However the text is directly quoted from the desk reference book. In addition, I’m finding increasing numbers of passages that are repeats, as if “copy-paste” was ongoing without being monitored. I tried to contact support and finally gave up being able to access the vendor through the app description or directly through a browser to their website. The same page appeared each time that was unresponsive. There should be information in the app description that alerts readers to the association between the app and the Desk Reference so that customers can knowingly choose whether to get the mobile version of a book they might already have or not. Disappointing. Having a few issues when I open up the topic emotions and hit the oils it closes down, the other topics work well. Enjoying the updates but still needs a few tweaks.